Some big changes have come to the Fitness Centre at the Progress Campus AWC. We’ve remodeled the Fitness Centre to become more convenient. There is a new Fitness Zone with a number of new pieces of equipment, updated machines, and gear to serve you better. A higher-end athletic trainer zone for our services menu, plus varsity programming and some possible future projects. It’s given a boost to help the general membership. We have more equipment available and more variety. Accessibility – We’ve moved the equipment to create a new accessible zone and we’re hoping to add to the new accessible equipment. 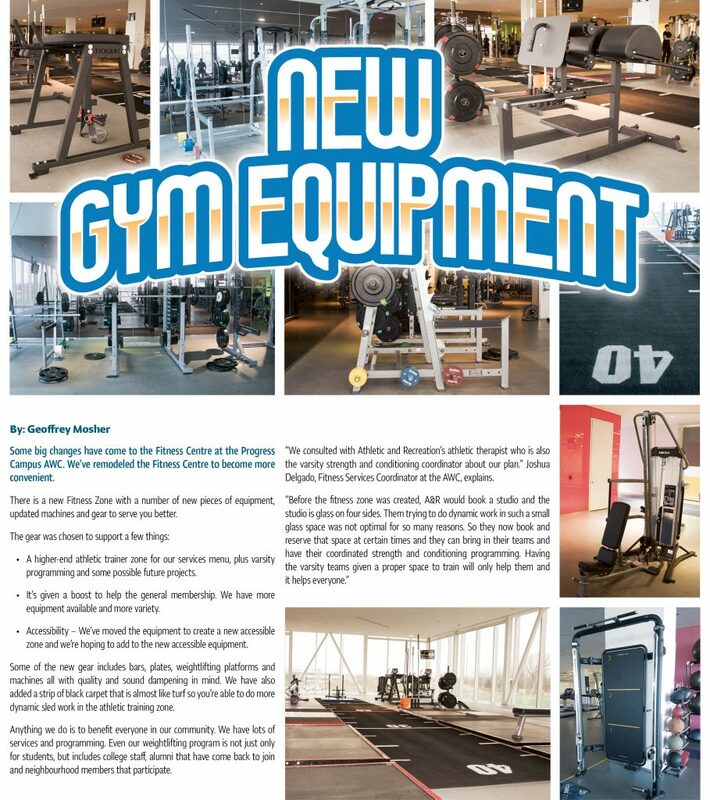 Some of the new gear includes bars, plates, weightlifting platforms and machines all with quality and sound dampening in mind. We have also added a strip of black carpet that is almost like turf so you’re able to do more dynamic sled work in the athletic training zone. Anything we do is to benefit everyone in our community. We have lots of services and programming. Even our weightlifting program is not just only for students but includes college staff, alumni that have come back to join and neighbourhood members that participate. “We consulted with Athletic and Recreation’s athletic therapist who is also the varsity strength and conditioning coordinator about our plan.” Joshua Delgado, Fitness Services Coordinator at the AWC, explains.